Every Power Rangers season begins with a core group of young heroes that learn to use their abilities and fight evil. As the evil they’re up against grows stronger, things change, and there comes a point where even the most heroic of Rangers need a little help. 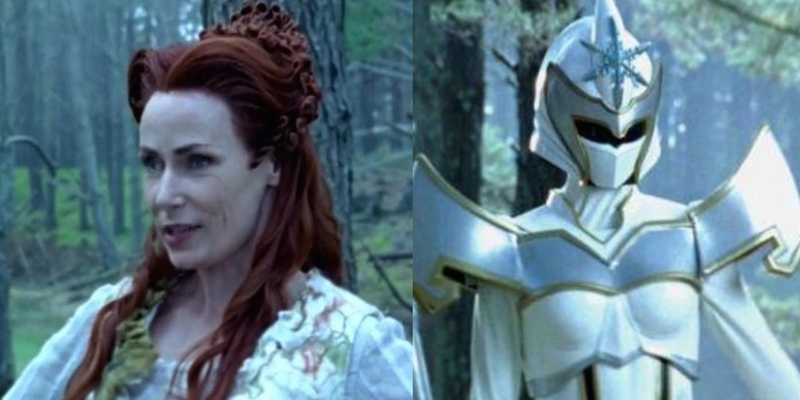 In nearly every season of the long-running series, that help has come in the form of a special Power Ranger, one who came by their abilities in a very different way. Sometimes, these Rangers are granted their abilities by a powerful mystical object. Other times, they’re former Rangers who have lingering powers of their own. Occasionally, their addition to the team might even be a bit on the nefarious side. These “Sixth Rangers” tend to be the characters brainwashed by the enemy, or even out for revenge for something they don’t understand. There’s always a period of adjustment as a result. After all, the rest of the team has already been together for a long time before someone new decides to suit up alongside them. These specialty Rangers tend to have grander abilities than their new teammates, more powerful weapons, and often, their own Zords to call upon. Some of them could even take on the evil villains and their minions singlehandedly, but others just aren’t up to snuff. Taking a look at all of the seasons of Power Rangers, we’ve got All Of The Special Rangers, Ranked Worst To Best. 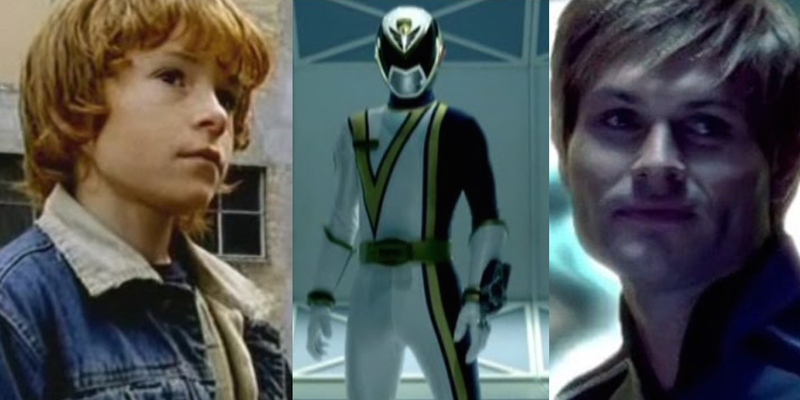 When a Power Ranger tops the list of Screen Rant’s Worst Power Rangers Ever, you know he's not going to be well-regarded in the ranks of his actual job. Zhane (Justin Nimmo) was introduced in a coma in Power Rangers In Space before he miraculously healed and joined the fight, but, really, did anyone need him to join the team? Zhane spent much of his time on the series showing off his skills and selfishly getting the team to do things his way. He disappeared for long stretches of a time, an impressive feat, since this season involved the team living and working out of the same space station, and he never offered any explanation for where he had gone or what he was up to. Sure, he had some impressive abilities - like harnessing lightning to power himself up - but he never seemed to understand that he was part of a team or that he wasn’t the only Power Ranger who mattered. He didn’t even show up to help his friends the following season when the Space Rangers got the Lost Galaxy Rangers out of a serious jam. Then again, he wasn't missed. Ninjor was the series’ answer to the Mighty Morphin Power Rangers movie. While the movie (which didn’t exist within the continuity of the series) saw the Rangers head to a faraway land and journey to get whole new powers with a woman that knew Zordon, the show had them seek out a man who looked like a plastic action figure brought to life. Ninjor might not have been the best Ranger, since his power depleted fairly quickly and he didn’t really have a life of his own, but he was useful. Not only could he fight in the same manner as the Rangers, increasing their numbers on the battlefield, but he could also grow to fight alongside the Megazord. Ninjor did spend an awful lot of time on the show getting captured and having to find a way to escape, though. He also never appeared again once the Mighty Morphin Power Rangers became the Zeo Rangers. He returned to his temple, probably to create some new power coins, but he never joined any team-ups or bigger battles, and there were many to come. Just like Zhane wasn’t much of a team player while in space, Eric (Daniel Southworth) just didn’t play well with others in Power Rangers Time Force. Unlike most of the other Rangers in the season, Eric didn’t travel from the future to track down a mutant in the past. Instead, he ended up getting his hands on some serious technology thanks to his job in a private security firm in the present. Eric spent a lot of time fighting against the Power Rangers instead of with them, though he wasn’t evil, which was a nice change for the show at that point. Eric was just really in love with power and with getting to be the hero, and he had a huge chip on his shoulder that prevented him from taking criticism well, making him clash with everyone. In Eric’s favor? He did eventually learn to work with the team, though their team-ups were sporadic at best. He also helped them out when they teamed up with the Wild Force Rangers the following season. Ah, the Phantom Ranger. The audience doesn’t even have a real name for him, since he never revealed his identity, or ever even removed his mask for that matter. He was a mystery that the show just didn’t really need. The Phantom Ranger popped up during Power Rangers Turbo to rescue the Pink Ranger a couple of times and to assist the rest of the team in a few fights. The squad also saved him when his powers were failing, though they didn’t think to ask for his name in return. He had some very interesting abilities, like being able to camouflage himself or become invisible, that made him a real threat to the bad guys. Sadly, the mystery of the Phantom Ranger was never solved, as once Turbo moved on to become In Space, he was never seen again. Just who was he? Power Rangers fans will never know. 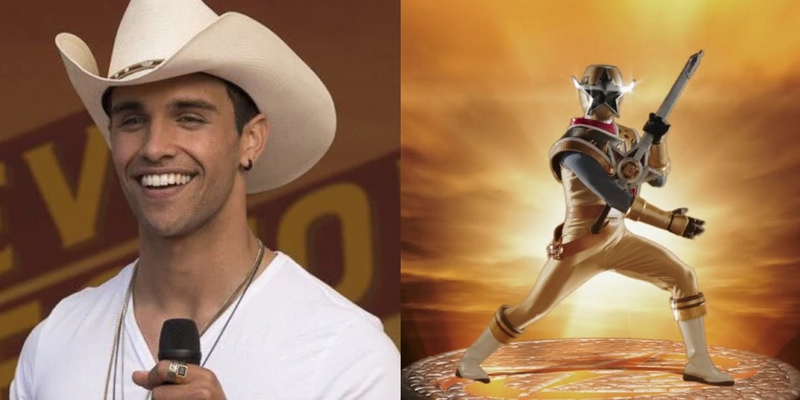 In the tradition of Power Rangers, Lightspeed Rescue introduced its Sixth Ranger to the group using a formula that had worked well for the show so far: Ryan (Rhett Fisher) was evil, brainwashed by the very enemies the Rangers had to go up against, but he was also the only one strong enough to wield the power of the Titanium Ranger. Lightspeed Rescue was different from the early incarnations of the Power Rangers primarily because their weapons, uniforms, and zords, were created in a lab, not by mystical means. The group of Rangers were chosen by the government for their skills; Ryan was not. Instead, Ryan was the son of the man who recruited the Rangers, lost to the monster they were up against at a young age. Much of his story was a repeat of the Mighty Morphin days with Tommy. The only new twist was that he spent his formative years in the company of demons instead of simply getting one really strong dose of brainwashing. When Jungle Fury debuted, it gave its Power Rangers the ability to harness the powers of different Jungle Spirits and use them in a fight. While each of the Rangers had access to their own personal spirit, there were a few additional spirits that none of them had, but could be trained to use. The spirits were held by the masters who taught them to fight at the beginning of the season, but they could become their own Rangers, which is why they landed on this list. The Shark (Blue), Elephant (Green), and Bat (Black) each had their own special skills that their masters happened to excel in. The Yellow Ranger learned how to channel the Elephant, while the Blue Ranger learned how to channel the Bat, and the Red Ranger utilized the Shark. It’s one of the first times the show allowed Rangers to use the abilities of other fighters that didn’t correspond to their existing color scheme, and it gave them quite the edge -- even if the Bat helmet was a bit on the goofy side. Levi Weston is a famous country singer whose name provides a nod to Levi Strauss, the name of some of the most famous denim on the planet, and the old west. 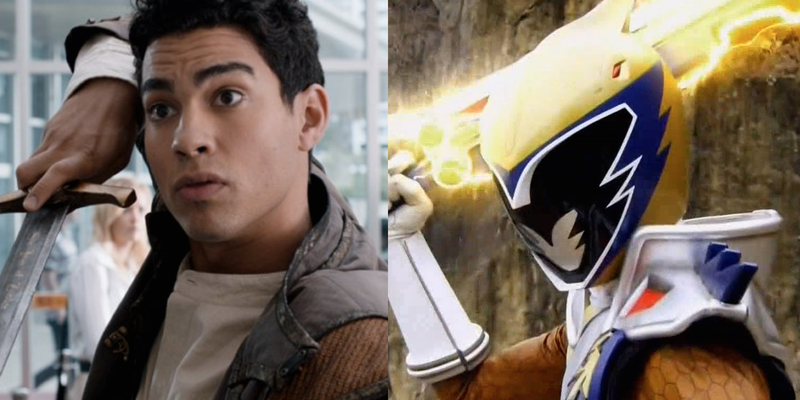 Levi, however, is just a stage name for Aiden Brody (Jordi Webber), big brother to one of the Ninja Steel Rangers and the Gold Ranger himself. It’s difficult to rank Aiden compared to the other Rangers on this list, because Ninja Steel is currently in the middle of a brief hiatus and the Gold Ranger has only been in action during four episodes so far. What the audience does know is that Aiden is pretty powerful as the Gold Ranger, even if he tried to hide instead of fight at first. 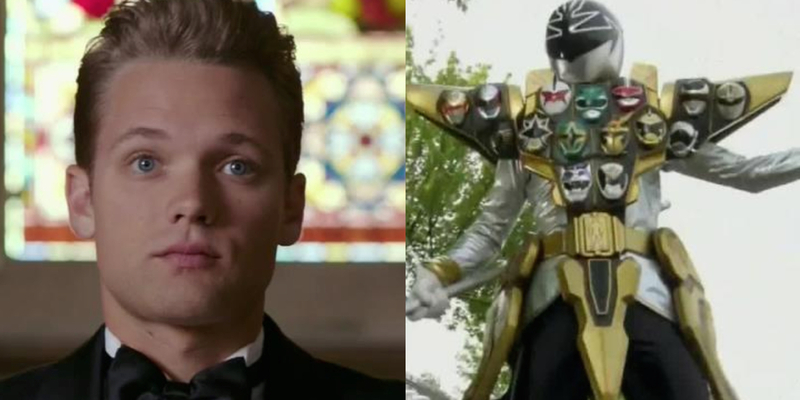 After first discovering the power of the Gold Ranger, Aiden was kidnapped, but managed to morph and escape. He spent a lot of time fighting monsters on his own before trying to rid himself of the gold ninja star by hiding it with someone else. As the other Rangers had to rescue that person from being kidnapped, Aiden stepped up and saved them all. He’s sure to become one of the most powerful Sixth Rangers the show has seen, even with a guitar for a primary weapon. Once a member of the Intergalactic Emergency Responder Squad, Tyzonn (Dwayne Cameron) lost his entire team, including his fiancee, to a cave-in. As a result, he was incredibly apprehensive about working with another squad and possibly causing more tragedy, though that’s not even how he was introduced to the Operation Overdrive Rangers. Tyzonn accidentally found himself transformed into a dragon-like monster when attempting to fight the big bad of the show on his own. Not wanting to be a monster, or a bad guy, he didn’t want to work with any evildoers to find a solution to his problem. Instead, he teamed up with the Rangers to find a fix, but once getting back to his old self, it took him a long time to overcome his own fears and insecurities to join them in a fight. Even once Tyzonn became the Mercury Ranger, he frequently looked to the other Rangers, and their team leader in particular, for inspiration. He had to learn to trust his own instincts and be himself all over again, though he did eventually. Udonna (Peta Rutter) is one of the rare Power Rangers who isn’t one of the teens. Instead, she not only acts as a Ranger, but also as the mentor to the group as they train to fight evil. In her younger years, Udonna was one of the many who fought the evil Morlocks that the Rangers ultimately have to fight in the Mystic Force season. It’s Udonna who recruits and begins to train a team when the Morlocks reemerge. Unfortunately for Udonna, she loses her staff, which holds most of her power, early on in the season, meaning she can’t actually use her powers for much of the time she’s on the show. Instead, she makes the decision to entrust the training of the Rangers to someone else and go on a journey to find her lost husband. Without her powers, she ends up kidnapped and in need of rescuing, though she does regain her White Ranger status and enter the fight later in the season. Her special ability is commanding snow, allowing her to literally freeze evil where it stands, so it’s a shame she has such difficulty holding onto her powers. 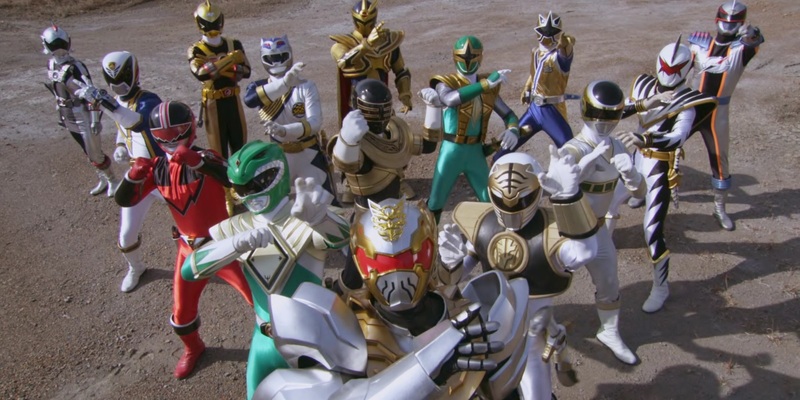 The Dino Thunder season acted as a nostalgia fueled ride for fans, as it brought fan-favorite Tommy Oliver (Jason David Frank) back as a mentor to the current crop of Rangers and used dinosaurs as the inspiration for their powers. 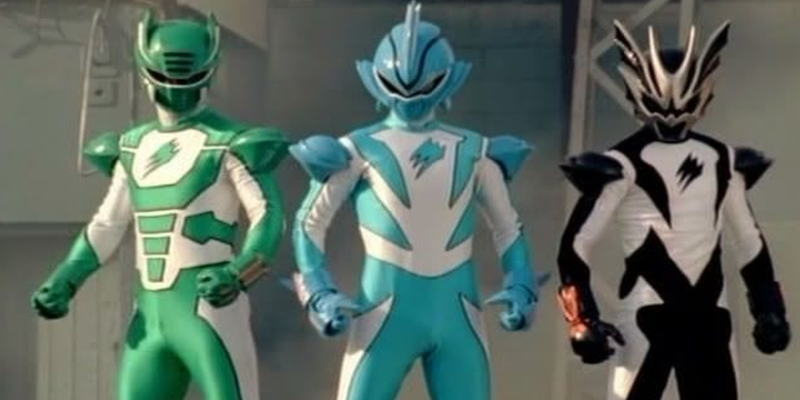 It also got a little nostalgic when it introduced an evil White Ranger named Trent (Jeffrey Parazzo), though in the case of the original series, it was Green who was evil and later became the White Ranger, of course. Trent ended up a Ranger by accident, much like Tommy. The man who adopted him had an evil entity living inside of him, and it was his control over the white dino gem that made it (temporarily) evil, influencing the part of Trent that became the White Ranger. It’s not the most original story, but Trent became committed to being the best hero he could be, even when the rest of the team wasn’t sure he could be trusted. Power Rangers Megaforce already sees the Rangers have access to all of the abilities of the Rangers who have come before them. They can tap into anything, so it might seem like they don’t need a Sixth Ranger on their team, but they actually ended up with more than one. 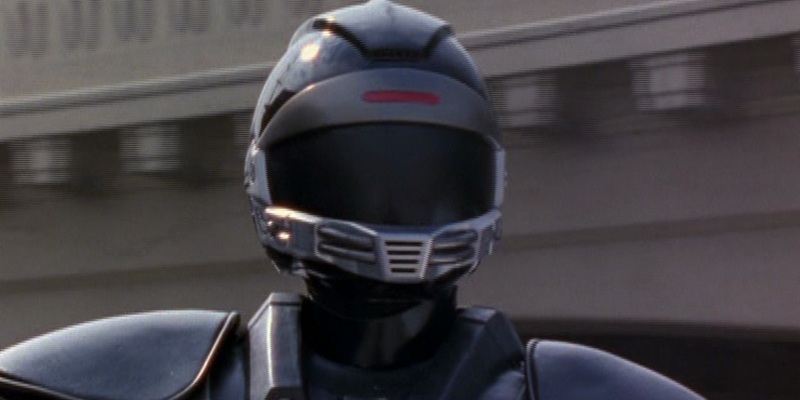 Robo Knight (voiced by assistant director Chris Auer) is the first extra Ranger the team sees, though he’s definitely not a typical Ranger, since he’s a robot. He was originally built to protect the planet centuries before the Megaforce team even came into being. He was in a sort of hibernation until he “woke up” and was missing many of his memories that allowed him to actually trust and work well with the Power Rangers. Over time, the Rangers gained the trust of the robot and fought alongside him, though he was often finding himself reprogrammed to work for the bad guys, not unlike the humans who were brainwashed in other seasons of the show. Ultimately, Robo Knight sacrificed himself, transferring his powers to the other Rangers. Anubis Cruger (John Tsui) acted as the commander for Space Patrol Delta, the organization charged with protecting the entire planet from criminal threats. As a result of being the commander, he wasn’t frequently out in the field, but instead in charge of paperwork and politics for the team. When Anubis Cruger did get out in full Ranger gear, the audience knew the threat was dire. He was a formidable fighter who didn’t even head into the fight with any specialty weapons, just his standard issue blaster and vehicle. 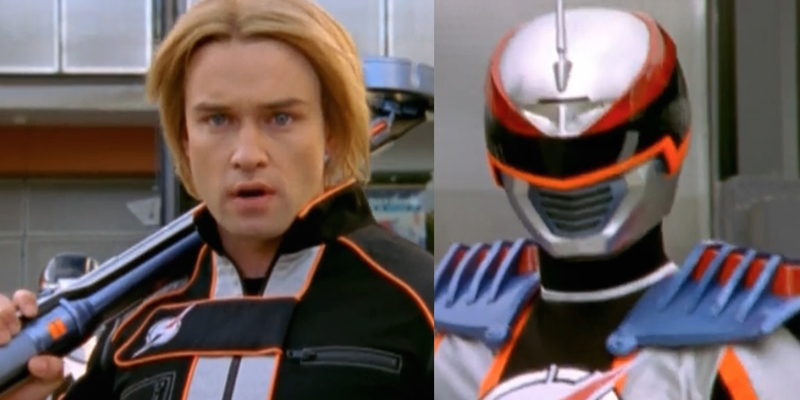 He also didn’t even need to morph to defeat a villain, meaning he didn’t need the extra boost of power or strength that came with being an SPD Ranger, though it certainly didn't hurt. Anubis Cruger had a history with Emperor Gruumm, who had destroyed his home planet. It was Gruumm that Cruger took on and defeated in hand-to-hand combat without morphing before returning to his position. As the series came to an end, he also got a promotion, putting him in charge of the organization as a whole instead of a single sector. Mike Corbett (Russell Lawrence) wasn’t always the Magna Defender. He came to the power after giving up his Red Ranger status to his little brother and falling, presumably, to his death in a cavern. There, the previous Magna Defender used Mike’s life force to give himself new strength to escape. The original Magna Defender eventually sacrificed himself in a fight, giving the power over to Mike completely. Mike acted as backup for the core team of Power Rangers when they needed assistance against the more powerful villains of the season. He nearly made the ultimate sacrifice himself when the space station Terra Venture needed to get through a rapidly closing portal. It was Mike who, in his Magna Defender gear, held the portal open, allowing the ship to pass through and get to a new planet to start a colony. Mike survived the experience, but lost his powers as a result. Power Rangers: RPM is one of the most interesting seasons from a creative standpoint. The series allowed this particular incarnation to take place in an alternate dimension, and it took a lot of risks compared to other incarnations of the series. Fans loved the new creative direction, but there wasn’t a ton of love for twins Gem (Mike Ginn) and Gemma (Li Ming Hu). Gem and Gemma might be two separate Rangers, but they appear together on the list because they’re almost never seen apart. The two are highly intelligent, but lack social skills and understanding of teamwork. It’s that lack of understanding that puts them outside of the top 10. The duo are always willing to run headlong into danger and blow things up, but they often do it after being told to wait to check out how big the threat is. Despite the two being so trigger happy, they are some of the best fighters on the team, which is why they’re sitting right in the middle on our list. Like Udonna, Leanbow (Chris Graham) was also a Ranger in his younger days. For years, Udonna thought he had been lost in battle, though in reality, he was, like so many other special Rangers, under something of a curse as an evil entity transferred his essence to him. 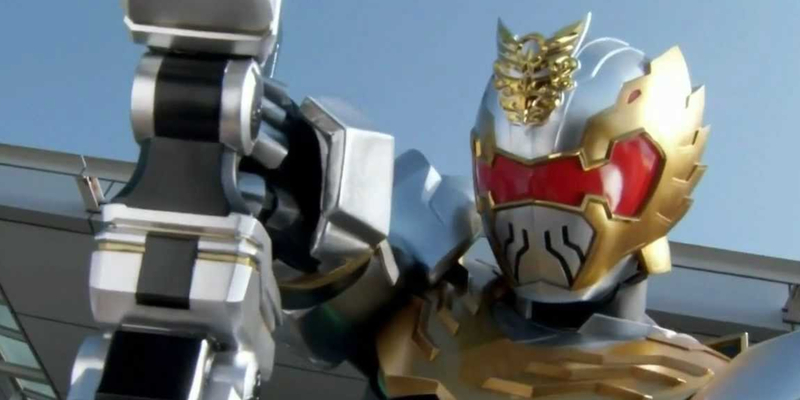 In fact, most of the time that the audience knew the character, it’s not as Leanbow, but as Koragg, the Knight Wolf, and an enemy of the Mystic Force Rangers. Koragg was one of the strongest foes the Rangers faced throughout the season, but when Udonna learned of Leanbow’s true fate, she travelled to the spirit realm to find him so that she could revive his true self with the help of her staff. 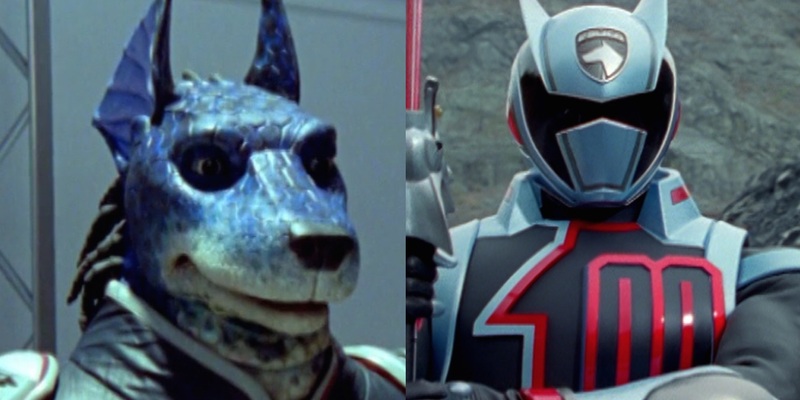 After that, Leanbow was able to become an ally of the Rangers once again as the Wolf Warrior. Leanbow chooses to sacrifice himself so that his son can continue to fight in a particularly hard battle at the end of the season, becoming yet another in a long line of fallen Rangers. Of course, because this was in a Power Rangers season that involved magic, that death didn’t exactly stick, and he got to return one more time to help in the season’s final battle as well. Even death couldn’t stop this Ranger - twice. Cam (Jason Chan) didn’t start off his time with the Power Rangers as a member of the team, but in more of an advisory role. His father was their sensei, and though Cam wanted to be a Ranger, he didn’t get out in the field for quite some time. Instead, it was Cam who tracked down evil forces, developed weapons, and made a cloned cyber version of himself to help with the work. He even created zords for the group. It’s when the Rangers don’t have enough power that Cam has to find a way to help them in the battle. Cam isn’t content to just use his own fight training, but needed a way to give the rest of the team a boost. He ends up traveling through time to when his parents were students at the ninja’s academy, getting a family heirloom from his mother that allows him to amplify his skillset as the Green Samurai Ranger. Cam is the one member of the team that always goes the extra mile, whether he has a Ranger suit or not, which is why he opens up the top 10. In one of the more interesting origin stories for a Power Ranger, Merrick (Philip Andrew) was, like Udonna and Leanbow, a Ranger in his younger days. Merrick, however, was also defeated in his youth and cursed by his attachment to the Lunar Wolf’s powers, disappearing for years until a new threat emerged. Merrick’s story is first presented as a man who becomes a wolf-like monster during the full moon, borrowing from the story of werewolves to explain his curse. It’s definitely one of the more fun and unusual tales the series has used in its time, and that’s part of the reason he gets ranked a little higher than you might have expected. Merrick shares a lot of characteristics with the original Sixth Ranger Tommy Oliver, in that he is accidentally brainwashed, can communicate with zords, is incredibly powerful on his own, and remains worried about the team being able to place their trust in them. Ultimately, despite his feelings for the Princess that mentors the team, Merrick remains a lone wolf. He shows up to fight, he bonds with the team, and he’s always willing to help, but he remains his own person, searching for redemption for the things he’s done. He’s the Power Rangers version of a comic book character who is always guilty when a mission goes wrong. When the audience first meets the Omega Ranger, he isn’t yet a member of SPD, but a misunderstood child (Aaron James Murphy) with special abilities. Like the other members of the B-Squad team, he has a genetic quirk that allows him to do something no human can. In his case, he can teleport objects and people around him with a wave of his hand. As a child, he gets mixed up with the bad guys, but it’s the SPD Rangers who make him realize that he’s on the wrong side. As an adult, Sam knows a thing or two about what’s to come, and he travels back in time to give the B-Squad an assist and save the world. Unfortunately for Sam, he has to spend nearly all of his time in a morphed state, because the time traveling messes with his physiology so much. He helps the SPD Rangers stop the invading Troobians and saves the world, and then, he gets to return to his own time to save the world some more. 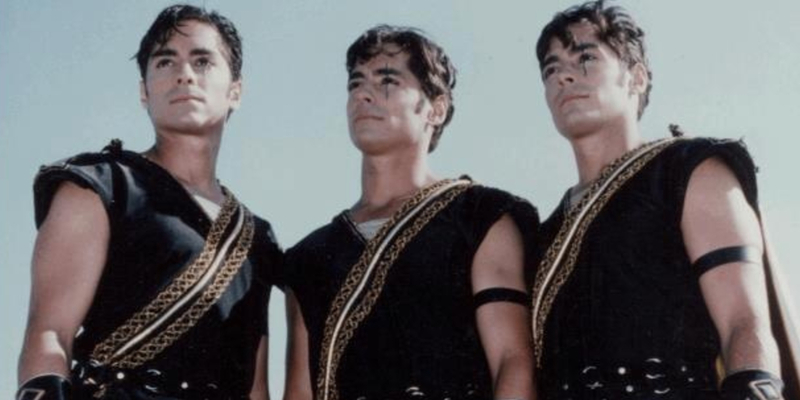 Triforia was a planet where every person was actually three that could unite to become a whole personality. When Trey was morphed as the Gold Ranger, all three pieces (Ted, Tom, and Tim DiFilippo) of him came together to create a fierce and just fighter. Trey’s time with the Power Rangers, however, was short-lived. Like the Phantom Ranger that would come later in the series, the Gold Ranger was a bit of a mystery at first. He would show up to help in a fight, and even rescue a stuck Power Ranger or two once in awhile. But then, he would up and vanish again. It wasn’t until he was pursued by a bounty hunter and crashed on Aquitar that he actually contacted the Power Rangers. The three parts of him could no longer be unified, and he needed someone to take over his powers. In addition to being a great ally in the limited time he was on the series, Trey did a noble thing in finding someone else to carry on the fight. He also gave the Power Rangers “super Zeo gems,” giving them a power boost and better zords, before he left. The Megaforce version of Power Rangers were able to tap into their previous Ranger counterparts, so it’s only fitting that someone with that much power landed high on the list. 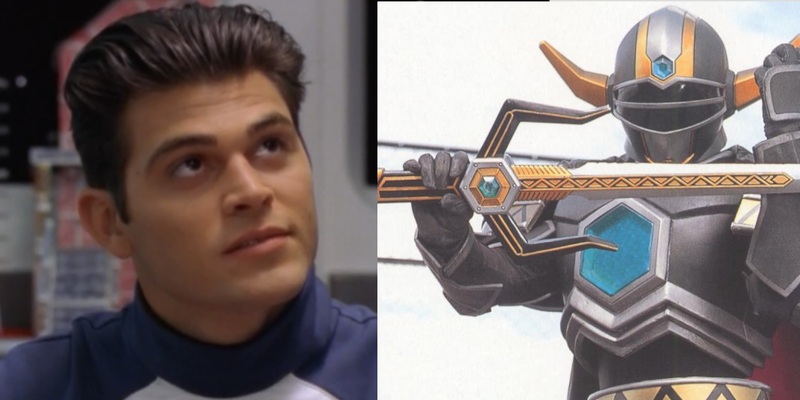 Orion (Cameron Jebo) was able to access the abilities of the many Sixth Rangers who came before him, making him one of the most powerful, though not the quite best, of the special Power Rangers. Unlike the rest of the Megaforce Rangers, Orion wasn’t from Earth. He actually found a case with the Sixth Ranger keys while working his mining job on his home planet and had visions of them, knowing they were important. His home was later destroyed by the evil Armada, and he wanted revenge. Eventually, he rebuilt an enemy spaceship and crashed it on Earth, where he joined the Rangers, though he missed battles thanks to his day job and a kidnapping attempt. 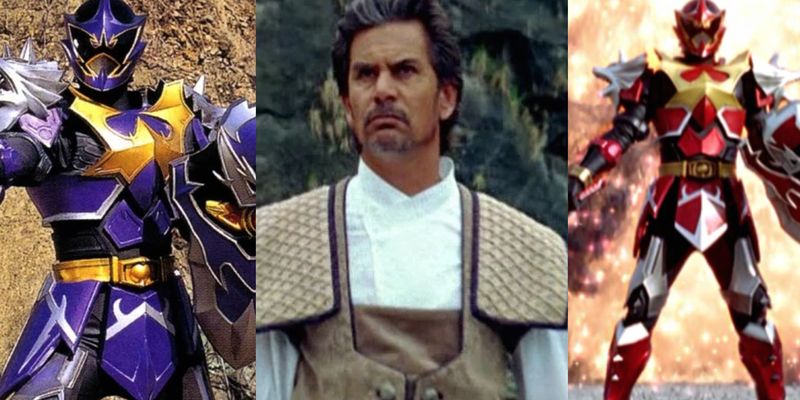 Only appearing in 13 episodes, we don’t get a ton of time with Orion, but the fact that he has access to so many different Ranger abilities makes him one of the most capable Rangers to appear in the franchise. Yes, that’s right, it’s yet another ally from the Mystic Force season of Power Rangers. Despite their access to actual magic, that team needed all the help they could get, since one of their allies lost their powers and another spent most of the season evil. 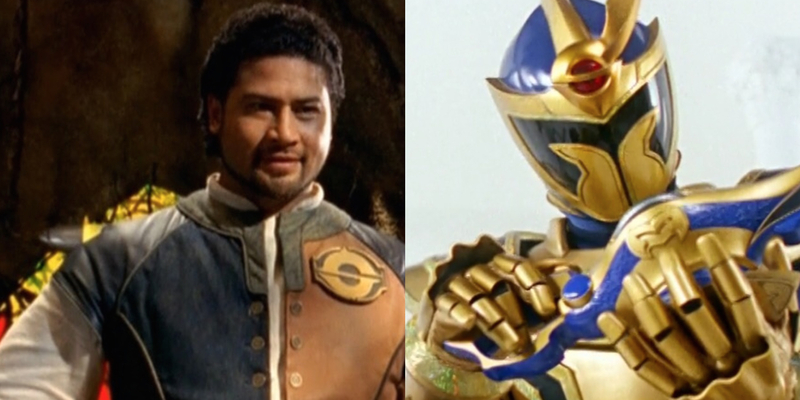 In this case, Daggeron (John Tui, who also played Anubis Cruger in SPD) helped the Rangers hone their magical skills and aided them in the fight against evil. Daggeron appears so high on this list because, unlike his other Mystic Force teammates, Daggeron doesn’t lose his abilities or switch sides during the course of the season. One of the Ancient Mystics, he’s an incredibly powerful being who trains the Rangers when Udonna is unable to. He helps them develop their skills to the highest levels, but he also doesn’t sit back in the mentor role, but rather, he joins the fight. Daggeron also sacrifices himself so that the Rangers can keep fighting, though he is ultimately resurrected thanks to a bit of magic, to continue saving the day. 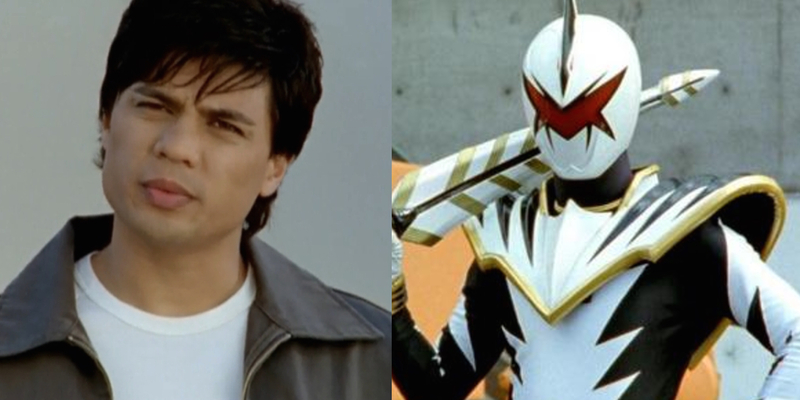 Unlike the others who make up the Samurai team, Antonio (Steven Skyler) didn’t spend his entire childhood learning the ways of the Samurai. Instead, he became a fish seller by day and a tech genius by night. His lack of training initially means he’s not the best fit, but he’s a quick learner who is excited to do some good in the world, making him the best person for the job. 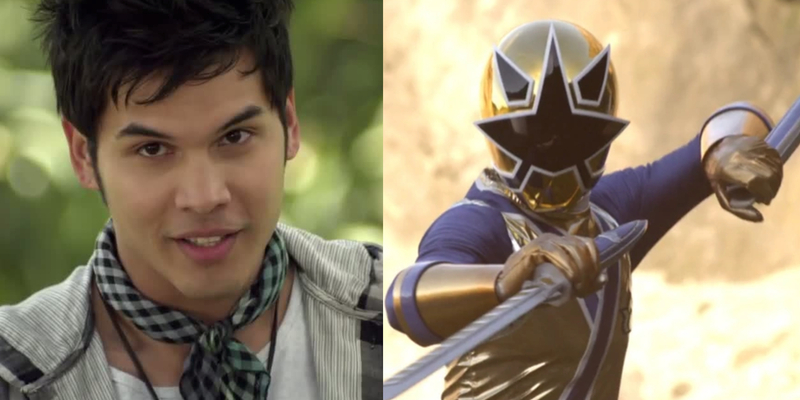 As the Gold Ranger, Antonio gets one great bit of power: he can move as fast as light. This means he can rip through his enemies with his sword before they’ve ever even realized he’s moved. Really, any fight should be over once he enters it, though some of their enemies prove a little more difficult to take down. What stops Antonio from making it into the top three? He breaks one of the golden rules of being a Power Ranger and loses his morpher. While he’s out fishing, his morpher winds up in the hands of Bulk and Spike, and he never even finds out it was missing! Ivan (Davi Santos) was a knight in the small country known as Zandar - way back in the 13th century. On a quest with his Prince, Ivan found the gold energem, which bonded with him, right before the monster named Fury decided to absorb Ivan and trap him while he searched for the rest of the energems. Spending centuries trapped with an evil enemy isn’t a good time for anyone, but Ivan bid his time and grew stronger, until he could finally separate himself from Fury for good. He then sought out the current leader of Zandar, intent on giving the energem to the new Prince, since he had been on a quest for the royal family in the past. The Prince assured Ivan that the energem was already in the right hands, making Ivan the Gold Ranger. Prizing loyalty above all else, and a master with a sword, Ivan proved to be a strong addition to the team. Though he was a bit of a fish out of water and had to adjust to modern technology, Ivan remained by the side of his new Ranger teammates until they managed to defeat Fury in the past and reset the timeline. 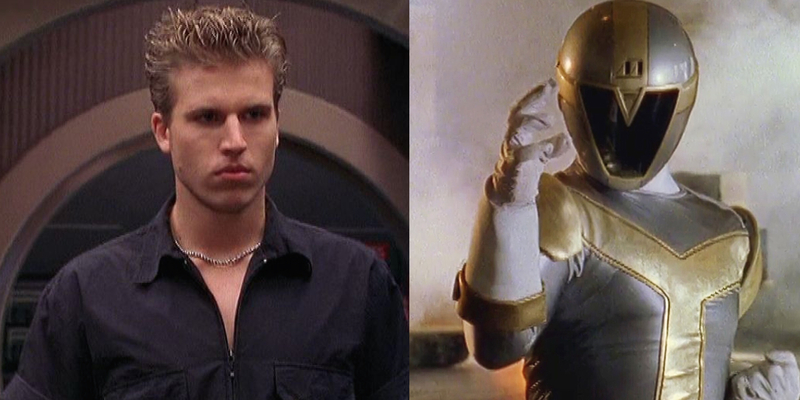 Jason stepped into the role of the Gold Ranger as though he’d never even left, which is part of the reason he jumps up so highly on this list. In addition to the Gold Ranger being one of the more powerful early series Sixth Rangers, Jason already has the experience of leading a team of Rangers when he joins up, and he still has plenty in the way of martial arts skills when he’s not empowered by Ranger abilities. Jason also knows when it’s time to pass the torch. He’s aware that his place with the team is only temporary, and he doesn’t get jealous that other Rangers get to keep their powers when he has to give his back, unlike his successor Rocky (Steve Cardenas), who has a hard time accepting Jason. 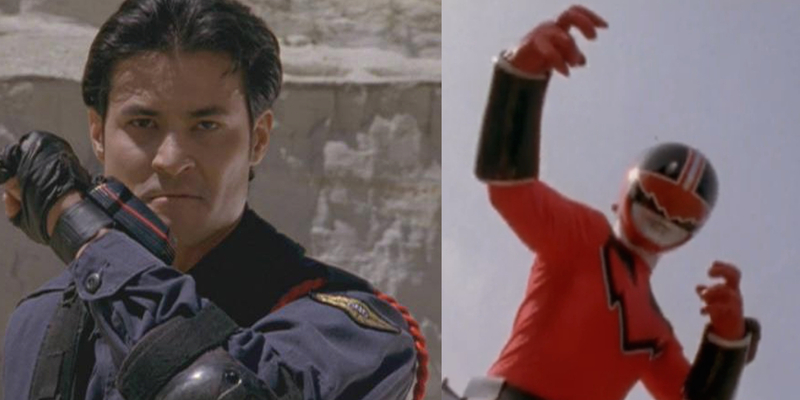 Jason also emerges years later for a Red Ranger team up episode, proving that his commitment to heroism was a lifelong deal. Tommy Oliver is the undisputed face of the Power Rangers franchise. 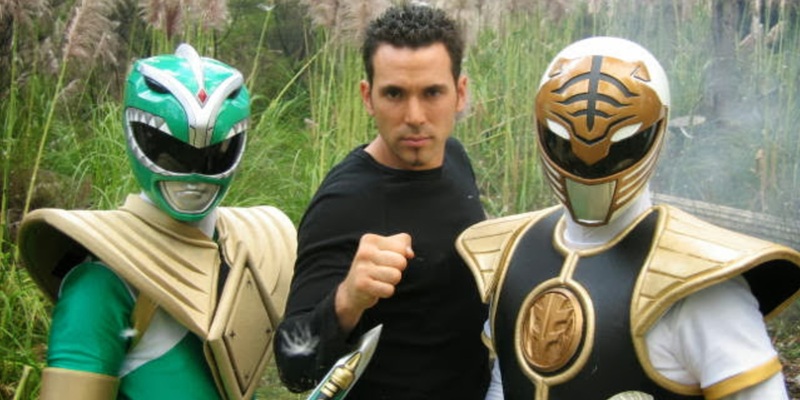 Jason David Frank will always be associated with the show, no matter what direction his career takes him. He began his time on the show as the first evil Sixth Ranger, creating many of the reformed good guy tropes the show would use in its next 24 years. After a little help remembering that he’s actually a good guy, Tommy began to lose his Green Ranger abilities, though he kept fighting at great risk to his own life. 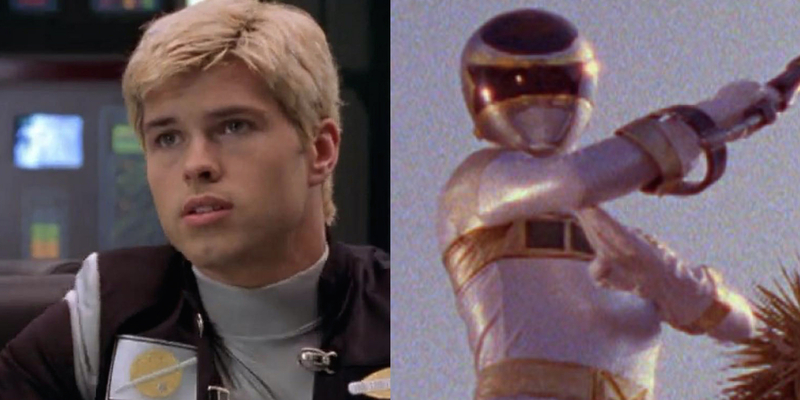 Luckily, Zordon knew what a gem he had in Tommy and got to work on creating the White Ranger powers for him, allowing him to remain on the team. 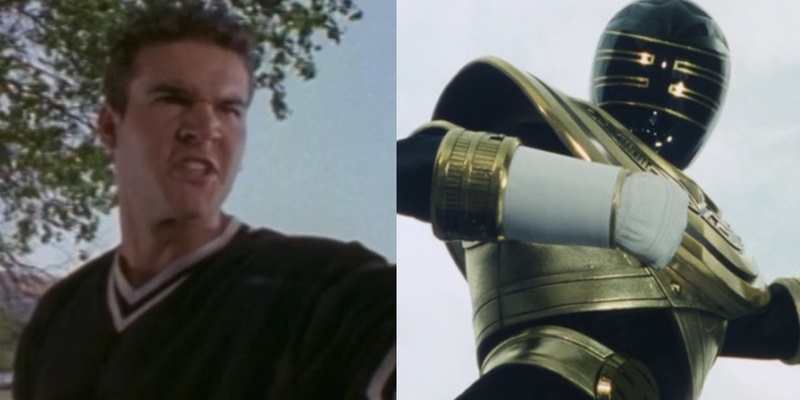 As the Green Ranger, Tommy might have occasionally been an antagonist, but as the White Ranger, he was team leader, and the person the other Rangers looked to for inspiration when things started to go terribly wrong. He never gave up, and even when after losing his White Ranger powers as well, he remained a Power Ranger. Tommy went on to become the Red Zeo and Red Turbo Rangers before ultimately moving on with his life (and graduating high school). 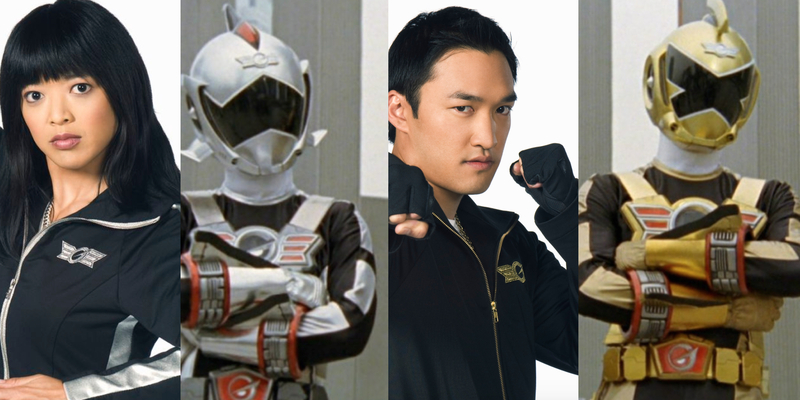 Years later, he returned to the franchise for a Red Ranger team-up, and later, as a mentor to a new team of Rangers, even joining the Dino Thunder team as their Black Ranger. 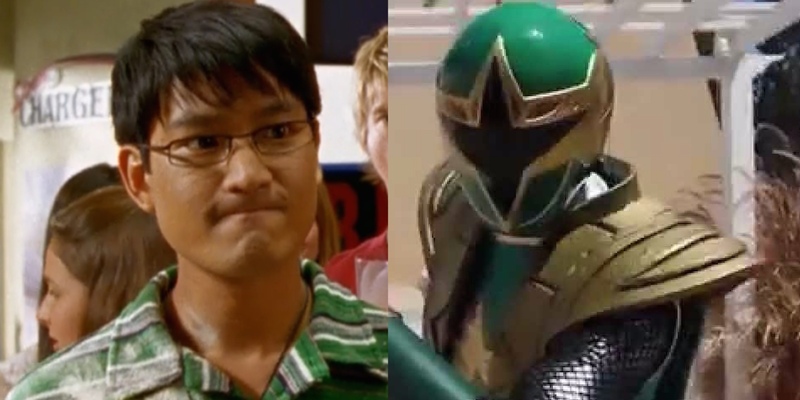 He truly came full circle when he joined the Megaforce Rangers in his old green duds for one last “Legendary Battle.” He was one of the few Rangers to appear out of their costume, helping people in trouble on the streets before the battle even began. 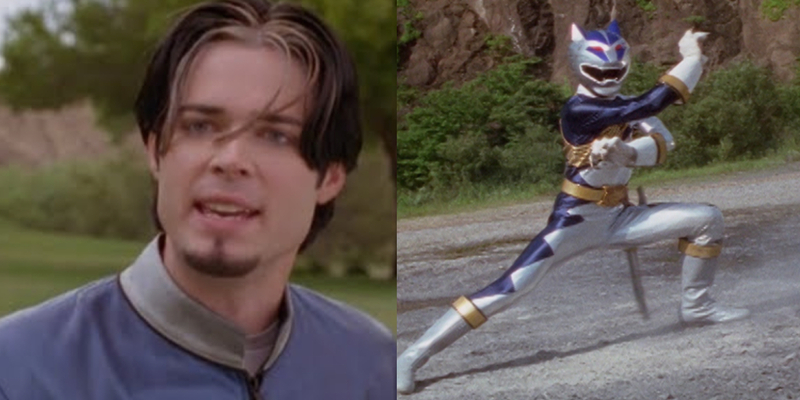 If there’s anyone who deserves to be remembered as the best Sixth Ranger, it’s Tommy. How did we do with our ranking all of the Special Power Rangers? Did your favorites make it to the top of the list? Or did we leave someone out in the cold? Let us know in the comments! You can catch Power Rangers Ninja Steel on Nickelodeon. The rebooted Power Rangers movie will land on DVD and Blu-ray on June 27, or you can catch it on digital platforms on June 13.